This map features mostly Arlington playgrounds, but also other locations in the Metro DC area (Northern Virginia, Maryland and DC) that I have reviewed. Hi Kendra, Maybe it is just my computer but I can’t see the awesome google map you have of your park reviews. I know you just updated to the new look (which is great by the way) am I missing the link? Thanks! Margaret.. hmm… it shows up for me, so I’m not sure what’s happening on your end. Would you mind sharing what browser and platform you use (PC vs Mac)? I just found this site. I travel to Va about twice a year to see family. This is amazing. 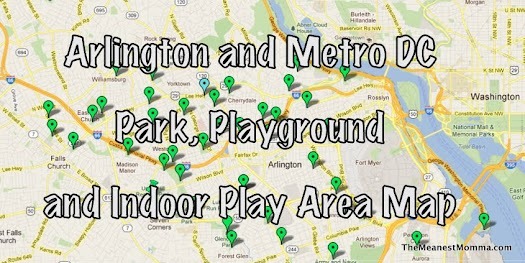 I am always looking for things to do with my son in the area that fun and let him explore. Thank you so much for doing this. It makes my trip planning so much easier now.